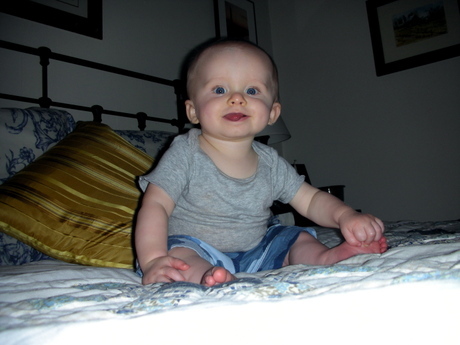 I haven’t posted a picture of our little gourmand lately…but as you can see, he is pretty much sitting up these days and discovered the art of sticking his tongue out today. He’ll be 7 months old at the end of the week. Happy Sunday, everyone.